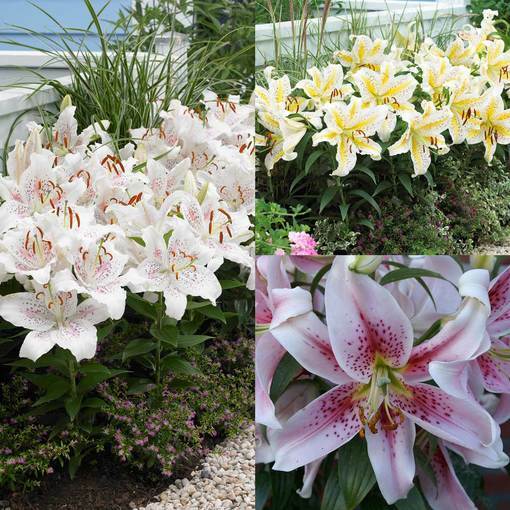 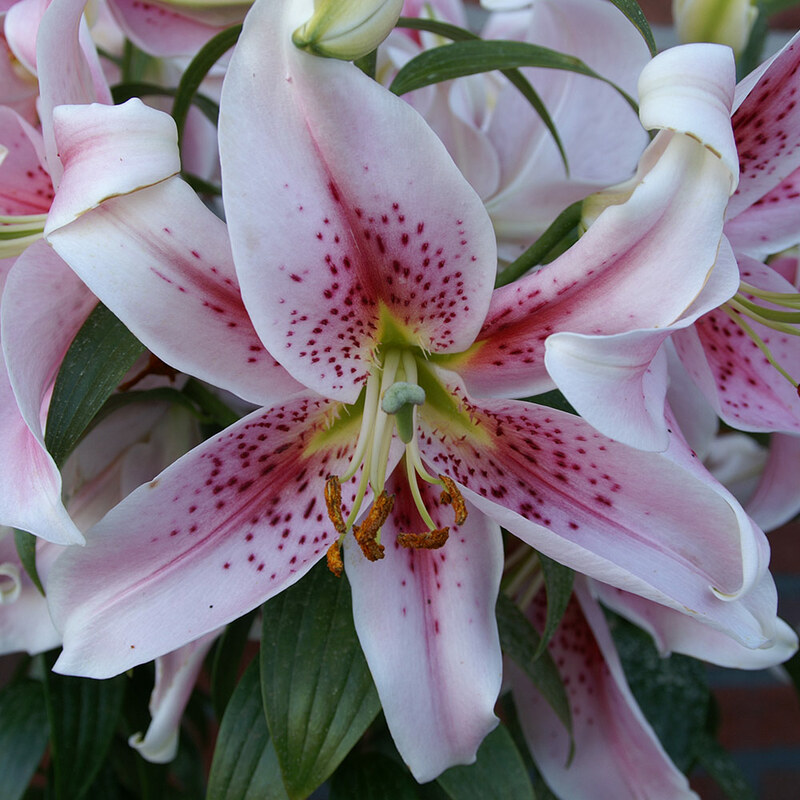 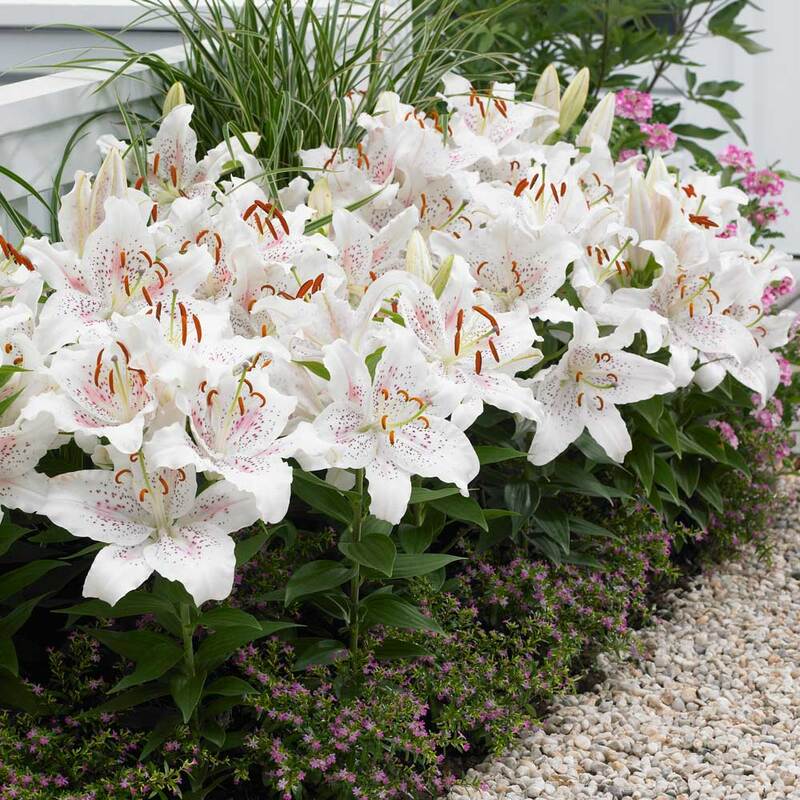 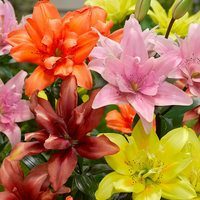 Our selection of three must-have Dwarf Oriental Lilies is perfect for the front of a border, or for growing in pots and containers on the patio. 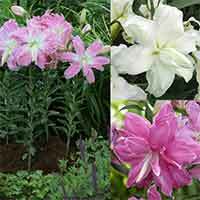 Supplied as top quality 14/16cm bulbs, you will receive five each of Gold Band (large white flowers with golden yellow), Mona Lisa (baby pink with dark pink spots) and Muscadet (white with pink spots). 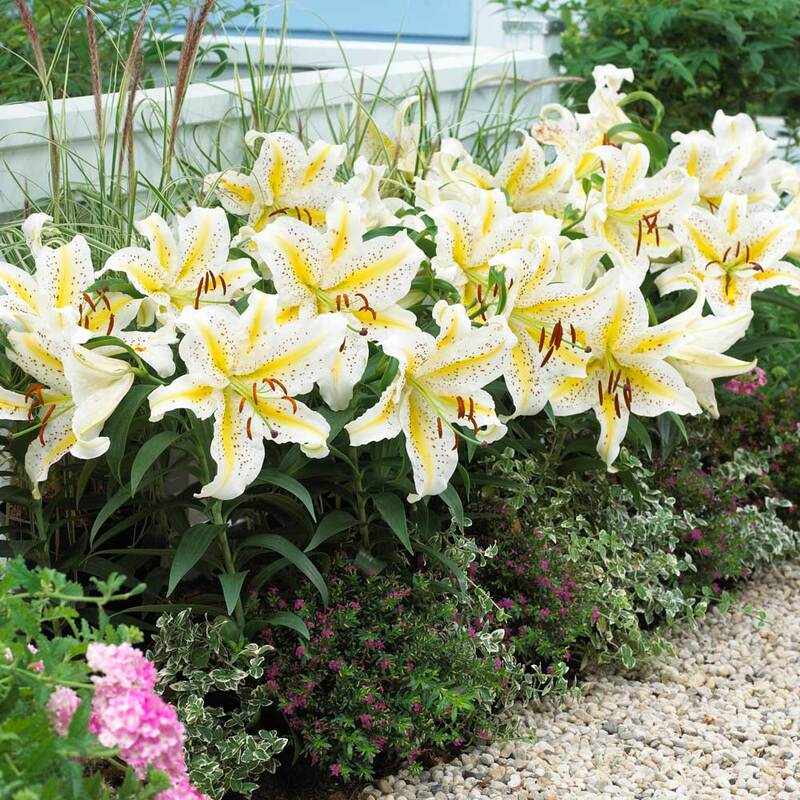 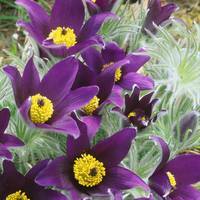 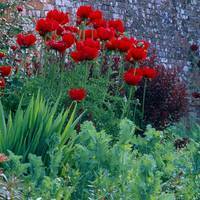 Each variety only grows to 40-60cm.